It’s been nearly 15 years since the first publication of Canadian author Naomi Klein’s book “No Logo” (1999). To many, No Logo has been considered the genesis of the alter-globalization and anti-branding movement. Of course we live in a completely different world now than in 1999. Since it’s publication, there have been other voices in the anti-branding movement–most notable is Jonathan Baskin’s book “Branding Only Works on Cattle”. Baskin implies that branding is a complete intangible providing little lasting value, and nothing more than a big waste of time and money. Baskin’s premise suggests consumer purchase behavior trumps the conventional activities of image / awareness branding. For those who may not be familiar with Klein’s anti-branding book, its premise is organized into four sections: “No Space”, “No Choice”, “No Jobs”, and “No Logo”. The first three sections deal with the negative effects of brand-oriented corporate activity, while the fourth discusses various methods people have taken in order to fight back the big branding (corporate) bullies. For those voices in the anti-branding movement, the proliferation of brands over the past 15 years might seem as though no one has been listening. The whole idea of brand is stronger and more embedded into our culture than ever before. It’s an established practice by marketers everywhere to trumpet the rankings of Interbrand’s (in association with Bloomberg Businessweek) annual survey of The World’s Top 100 Brands. According to Interbrand, the survey “evaluates brands much the way analysts value other business assets”. The idea being the stock valuation of big companies is largely the result of the financial value of their brands. The truth about accurately measuring quantitative brand value is a matter of opinion. The bigger question for many business leaders and marketers still remains–does branding drive real business performance? Many advances in measuring ROI for marketing activities have been developed in recent years. However, there is a big distinction between measuring marketing effectiveness and the intangible value of a brand. If the quantitative measurement of brand value is a black art, (as Jonathon Baskin suggests), why does branding matter at all? And more importantly if branding is nothing more than an intangible activity promoting more consumption and consumerism rather than responsible citizenship, how much influence do the voices of the anti-branding movement have today within modern marketing organizations to make things better? These are noteworthy questions. In thinking about how influential the anti-brand movement is today, let’s take a look at the four big ideas and trends put forth in No Logo over a decade ago and see if they’ve stood the test of time. According to Klein, corporations began (in the early 80’s) to seriously rethink their approach to marketing, and began to target the youth demographic, as opposed to the baby boomers, who had previously been considered a much more valuable segment. These slowly gave way to the idea of selling lifestyles rather than products. Klein argued that large multinational corporations consider the marketing of a brand name to be more important than the actual development of useful and sustainable products. As this happened, the brands’ obsession with youth and pop culture drove them to further associate with whatever the youth considered “cool”. Along the way, big brands attempted to have their names associated with everything from movie stars and athletes to grassroots social movements. Brands proliferated the culture interrupting consumers at every turn, and leaving no space for anything else. Looking back on this idea, we can clearly see that big corporations have not lessened their obsession to brand just about everything, and there is hardly a place a consumer can go today and not be exposed to a youth oriented branding message. More than ever, the marketplace is a slush pile of brands and white noise. Today marketers compete with clutter, rather than other players in their category. This will only increase as brands continue to muscle their way into people’s devices and into their lives. 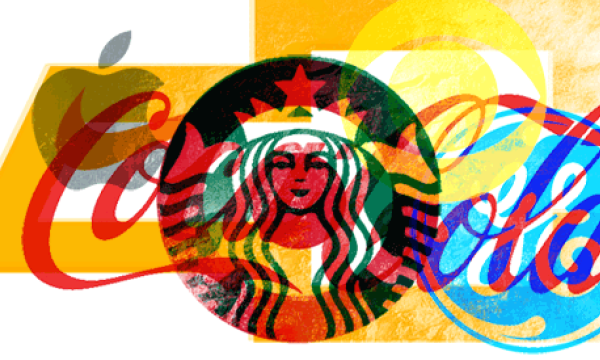 Klein outlines how brands use their size and clout to limit the number of choices available to consumers – whether through market dominance (Wal-Mart) or through aggressive invasion of a region (Starbucks). Klein argues that the goal of each company is to become the dominant force in its respective field to add to their ubiquity and provide greater control over their image. Also discussed is the way that corporations can abuse copyright laws in order to silence those who might attempt to criticize their brand. Certainly market dominance, control and clout from big brands will continue to be a competitive force. However the good news is big brands have failed, through control and manipulation, to stem the growth of more brands and more choice consumers now have available to them. So much so that brand differentiation is getting next to impossible. As brands continue to innovate products and services at light speed, consumers are becoming numb to ubiquitous choice and commoditization–with their default purchase intent based on the cheapest price. And with the proliferation of social media driven communications, consumers now control more of the conversation about brands, not the marketer. The control of big brand and big media has been forever tilted in favor of more authentic and transparent online conversations controlled by consumer to consumer. Here Klein takes a darker tone, and looks at the way in which manufacturing jobs move from local factories to foreign countries, and particularly to places known as export processing zones. Such zones have no labor laws–which leads to dire working conditions. In North America, where the lack of manufacturing jobs led to an influx of work in the service sector, where most of the jobs are for minimum wage and offer no benefits and little hope for advancement. All of this is set against a backdrop of massive profits and wealth being produced within the corporate sector. The result is a new generation of employees who have come to resent the success of the companies they work for. This resentment, along with rising unemployment, labor abuses abroad, disregard for the environment and the ever-increasing presence of advertising breeds a new disdain for corporations and their brands. True enough, the effects of globalization have brought both pain and gain. The good news is big global corporations are now faced with the reality they can no longer hide from their labor abuses. Apple’s recent labor practices in China and the human disasters in Bangladesh have shed new light and growing consumer intolerance for these practices. 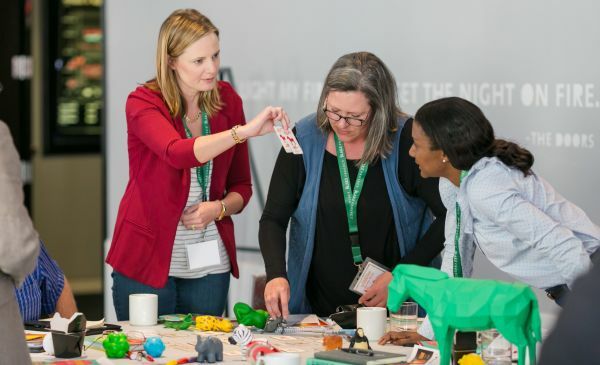 Brands today must add value to the people and communities in which they live, and be more effective stewards of the resources they use to manufacture and distribute products in complex global supply chains. In this final section of the book, Klein discusses various cultural movements that sprung up during the 1990s. These include Adbusters Magazine and the culture-jamming movement, as well as Reclaim the Streets and the McLibel trial. Less radical protests are also discussed, such as the various movements aimed at putting an end to sweatshop labor practices. Klein concludes by contrasting consumerism and citizenship, opting for the latter. Lets be honest with ourselves, branding (for the most part) is a superficial activity and it’s easy for the remnants of the anti-branding movement to get stuck in the tar of the superficial imagery and the propaganda of branding–much to do about nothing. Today, actual business practices matter much more to consumers than the glossy promises brands will make. Today the behavior of brand owners is what consumers are concerned with when making purchase decisions. Today, consumers no longer care about marketing. They don’t believe marketing claims if they pay attention to them at all. Most try to avoid marketing messages at all costs. Logos don’t matter one bit if they ever did. Despite this, advertising agencies and their clients will continue to indulge in creating the campaign de jour and develop more innovative ways to use big data to intrude on people. Over the past fifteen years none of that has changed. With consumer-based economies still struggling to regain solid growth, the good news in the brave new world of the 21st century, consumers everywhere are now paying closer attention rewarding brands with their money only when brand behavior aligns with the sacred and shared values of the consumer community. Only in this context will the value of a brand matter. In my view, the world changed radically – and in the process, making the anti-branding movement irrelevant. Thomson, I think you’ve got your logic backwards. Though I can’t speak for Naomi Klein, my understanding of her no logo analysis was that consumers would assert themselves as citizens and individuals, and thereby demand that companies be accountable for the promises and products they make. In my 2008 book Branding Only Works on Cattle, I posited that brands that relied on the make-believe of image and creative association would lose out to businesses that approached branding as a narrative of their actual behaviors, as well as the outcome of their consumers’ actions. I couldn’t agree more, and my bet would that that Naomi would, too. The fact that so many companies throw away money on the outdated assumptions that they can buy those shared values, or ignore or spin the truth of what they really sell and expect to get away with it, proves only that old habits die hard. I believed five years ago that brands wasted billions on imagined brand equity (and then invented nutty ways to measure it), and many of them still do today. Most of it — and them — are irrelevant, as you say. Again, we’re in violent agreement. Being a marketer, I proposed in my book detailed ways for businesses to build real, sustainable, and profitable brands, and they all centered on the proposition that intangible values need to be made tangible in order to possess any real or lasting value. I’m encouraged, as you are, that some businesses are taking this operationally-based approach, though perhaps nowhere near as broadly or consistently as you suggest. The anti-branding movement, if there ever was one, was more “pro choice” and “pro truth” and, by those definitions, businesses and consumers are both winning, irrespective of whatever magic numbers Interbrand or any of the other old-school measures declare. Thank you Jonathan for your comment. I appreciate you reading and sharing your insight on a topic that does not seem to get enough attention by marketers today… true enough I may get my logic twisted from time to time, but the good news is consumers decide who wins at the branding game–not the marketer.